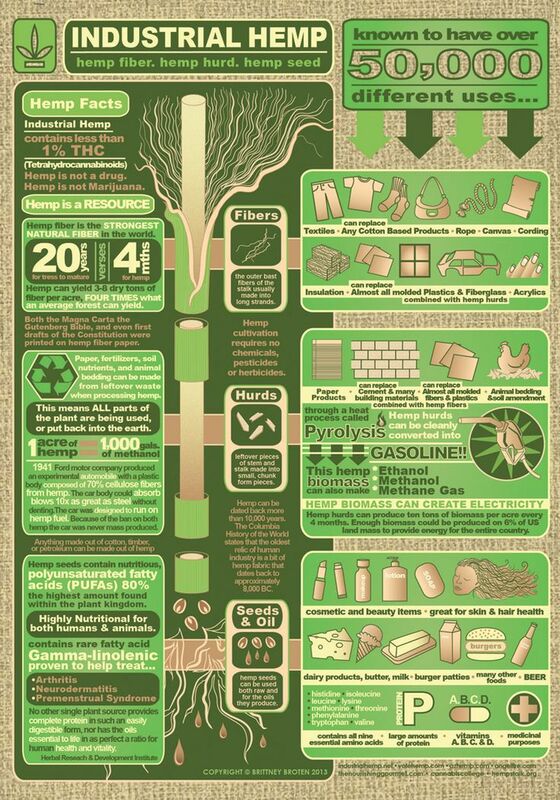 Hemp a plant with a a ton of uses. Many people associate hemp with marijuana but hemp is not the same and unlike marijuana it can be used in a variety of practical ways with less carbon impact than other alternatives. This handy chart lays it all out. All parts of the plant can be used leaving very little waste behind and products can even be made from from the waste that is created! Fibers, stalk, and seeds all of it can be used for different purposes. 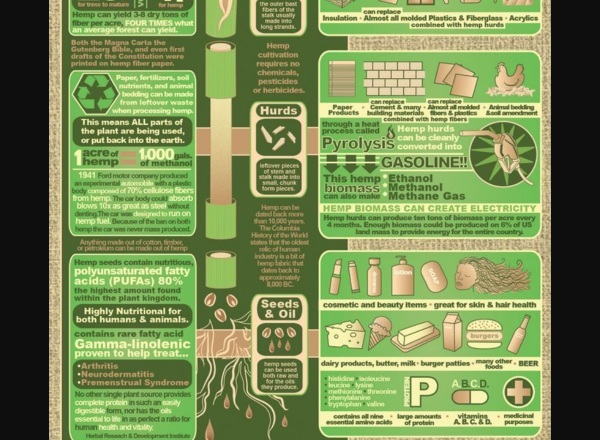 Everything from textiles to gasoline, this plant has you covered. You can also eat it which is great because we need food to live. The farming of it in the US has only recently been made legal but it can open up a wealth of options in resources going forward.